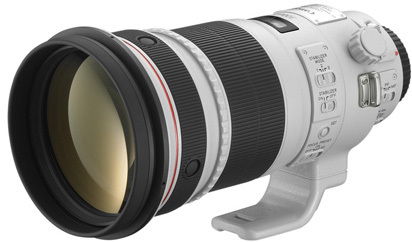 The Canon EF 300mm f/2.8L IS II USM Lens is a sharp, fast, and relatively lightweight super telephoto that sports 3 modes of Optical Image Stabilization, with one that activates only when the shutter is fully pressed so that you can pan without IS interfering with framing. To capture subjects at very precise predetermined moments, a focus preset function allows you to assign focus positions and return to them in an instant while a focus distance range can be selected for faster AF response times. This lens is heavily dust and water sealed and is incredibly sharp, making it ideal for wildlife and sports. • This lens is compatible with Canon EF mount cameras in both full frame and crop frame sensors. The focal length equivalent on crop frame sensors is 480mm. • This lens is compatible with 2X and 1.4X Canon extenders, which are not included.